Make sure to have the "To" field filled out prior to suggesting times. 1. First, press the Chili Piper icon next to the Send button within the email. 2. After this, select the person you'd like to assign the meeting to, as well as the meeting type. Then, select several time slots and press "Insert Availabilities." 3. 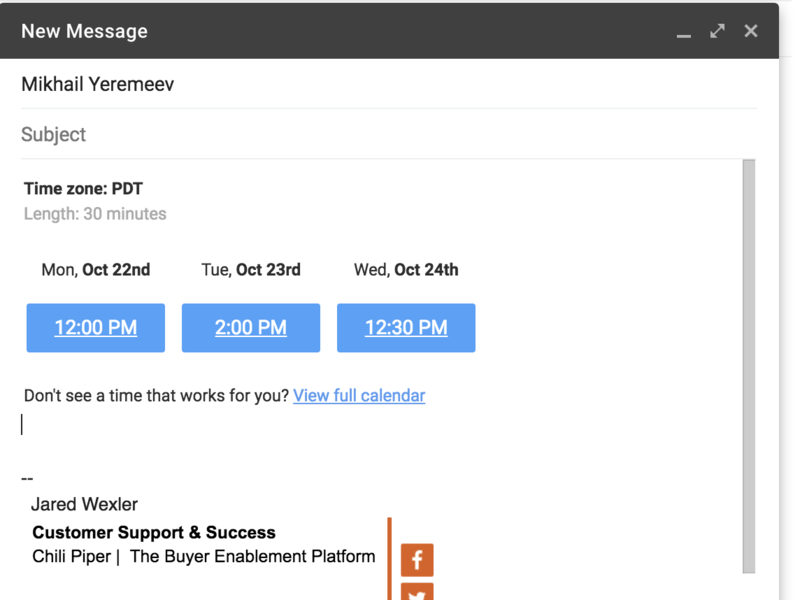 Once you press "Insert Availabilities," the time slots selected will populate within the email and be ready for the prospect to book in one-click. 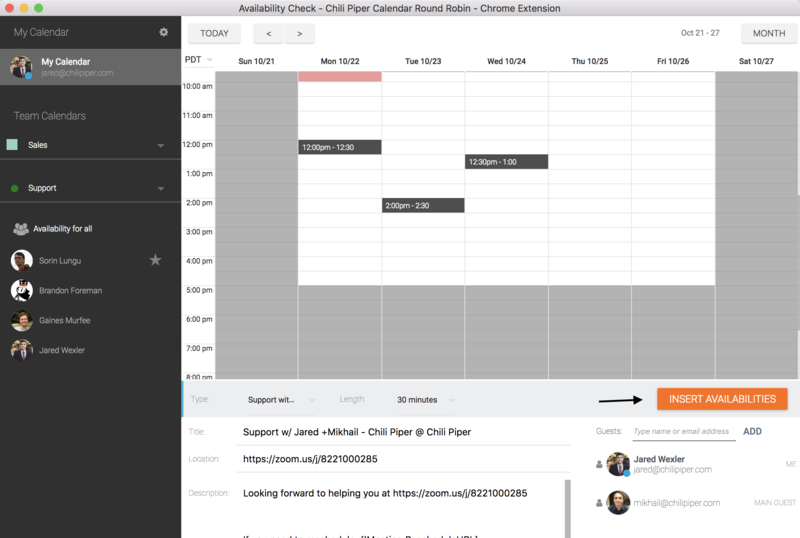 Prospects can also book via your full calendar if the times don't work for them. Sometimes the guest already suggests some time to meet within an email. 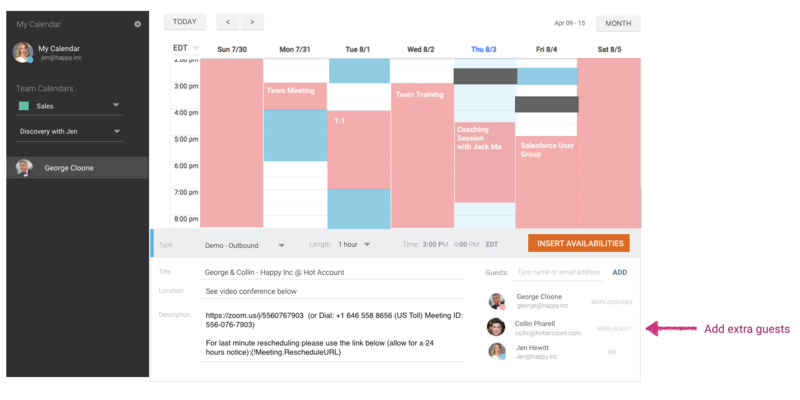 In this case, you can click on the orange icon next to their email and book the meeting in one click. Just do it a few times, you’ll thank us later. The time you save with this shortcut will allow you to catch bigger fish.